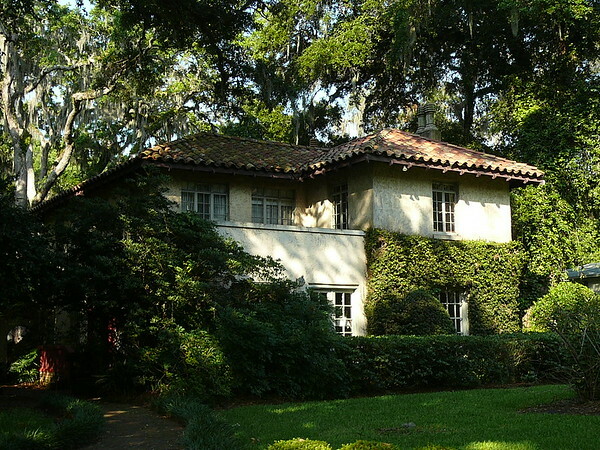 Metro Jacksonville explores a neighborhood that was designed by prominent architect, Henry J. Klutho and recently designated as Jacksonville's third nationally recognized historic district: Old Ortega. 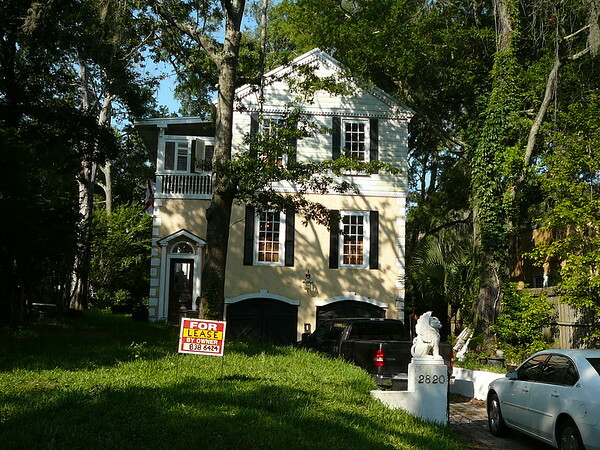 Historic Ortega lies on the St Johns River just south of the historic Riverside area. 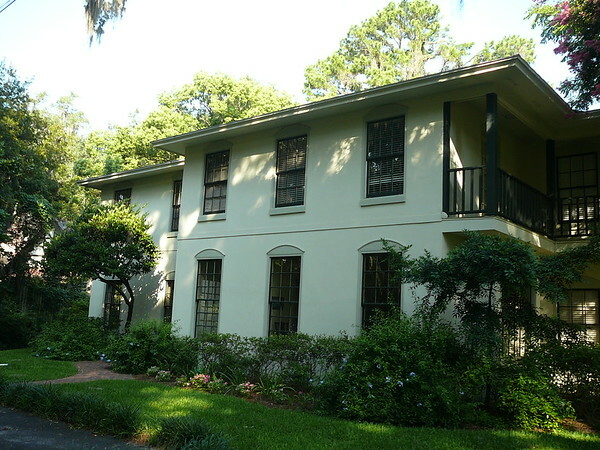 Ortega is bordered by the St. Johns River on the East, the Cedar River on the North, and the Ortega river on the West, practically making it an "inland island." 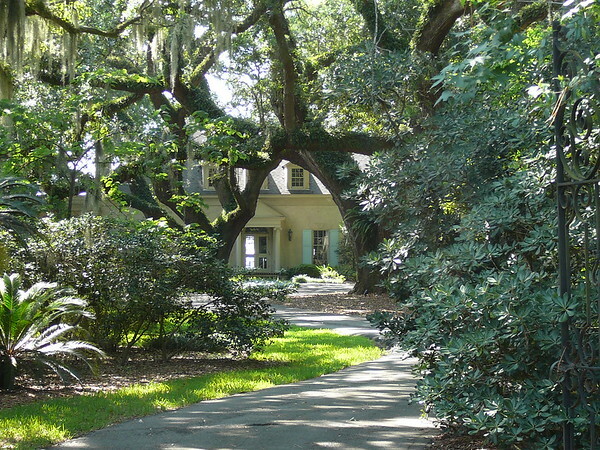 The history of the area includes a number of interesting characters: botanist William Bartram; highwayman and cattle rustler Daniel McGirtt; and Don Juan McQueen, who attempted to establish a plantation on his 1791 Ortega land grant, but was forced to leave due to attacks of Georgians and the French. Gangster George "Machine Gun" Kelly and his wife were rumored to be the mysterious couple who abruptly left their rented Grand Avenue home hours before a midnight police raid in 1933. 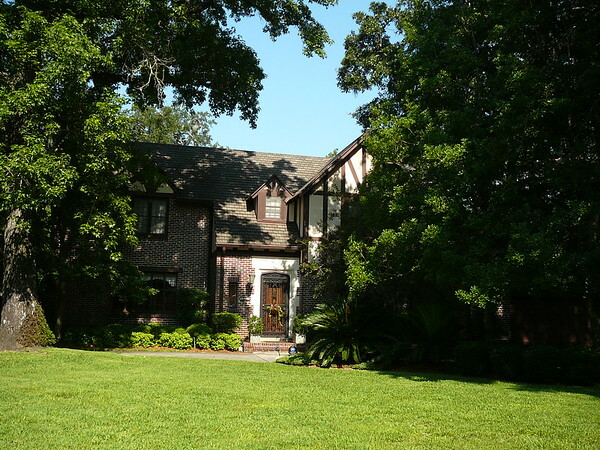 Ortega is home to hundreds of mid-size to large, turn-of-the-century homes and Southern Style mansions. 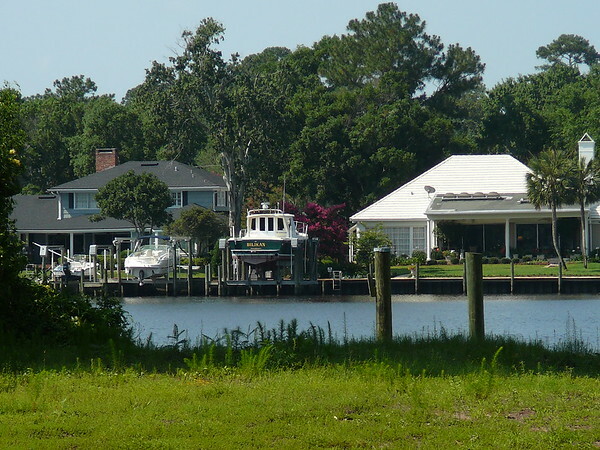 Many of these homes are situated directly on the river, and the nature of the "island" allows ease of access to the waterways for all residents. 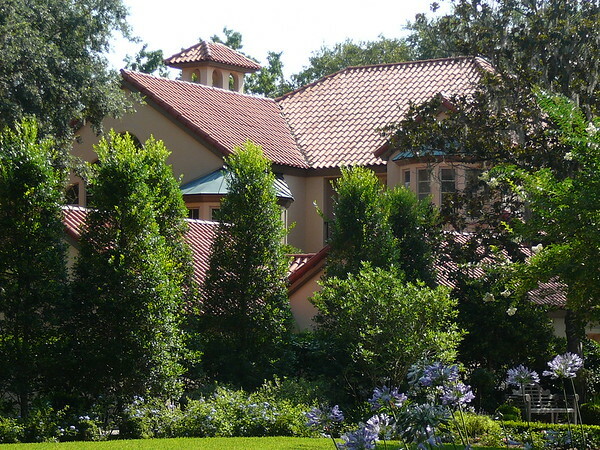 Along with Avondale and Riverside, Ortega is home to some of the wealthiest of Jacksonville families. It is marked by a distinctly traditional Southern culture complete with one of the South's most exclusive debutante coiteries. The island is almost exclusively residential, the only exception being a small square in the section known as "Old Ortega" on the northside where a small collection of restaurants, boutiques, and a pharmacy are found. 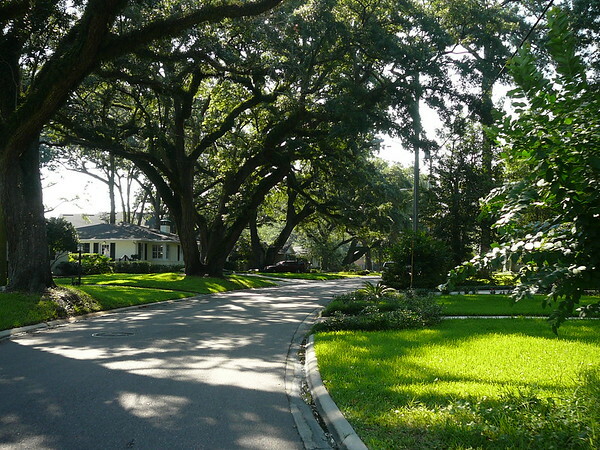 Ortega, with its giant oaks, waterfront mansions, and series of parks is widely considered one of the most beautiful residential areas of Northeast Florida. 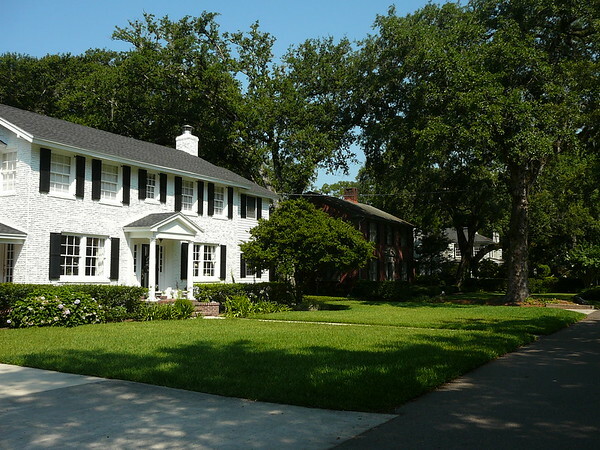 Naval Air Station Jacksonville is also located on the southside of this neighborhood. Old Ortega features an unique collection of circular and waterfront parks within walking distance of its commercial district and residential areas. 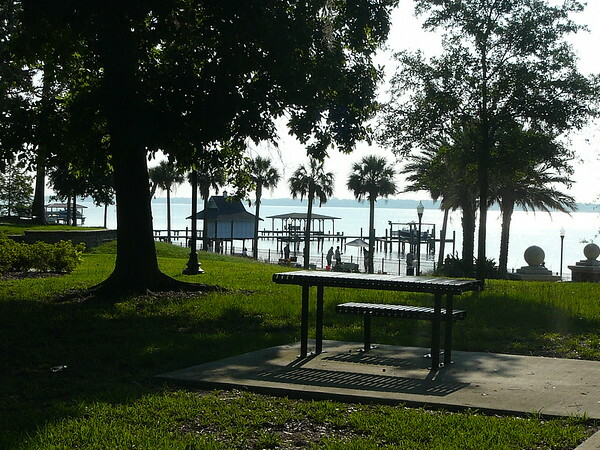 Stockton Park is located along the St. Johns River, in the Ortega neighborhood (platted in 1909) of southwest Jacksonville. 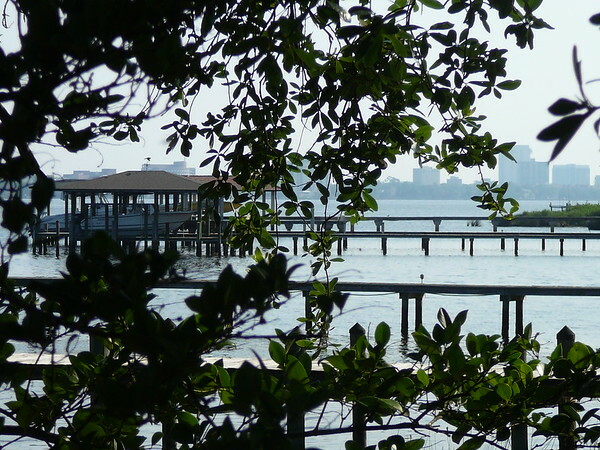 Originally named Ortega Park, it was expanded in 1965 when the City filled an acre of submerged land and built a bulkhead along its length. 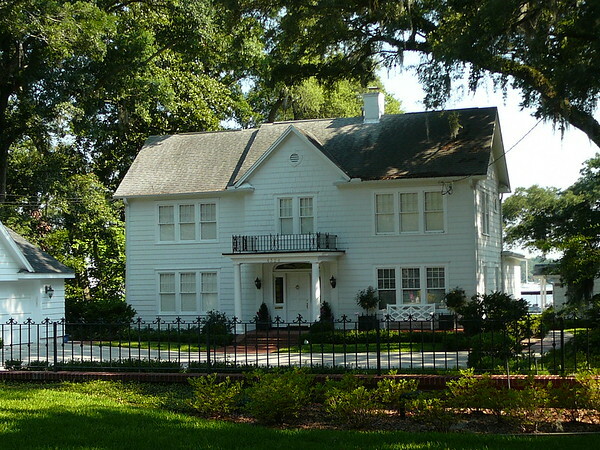 The park is named for John N. C. Stockton (1857-1922), president of the Ortega Company, the subdivision's developer. Best remembered for his devoted public service, he worked distributing relief funds during the yellow fever epidemic of 1888, chaired the Board of Public Works in 1893 and after the Great Fire of 1901, and served in the Florida Legislature. Collaboration between area residents and the City led to a major improvement project in 2004-2005. 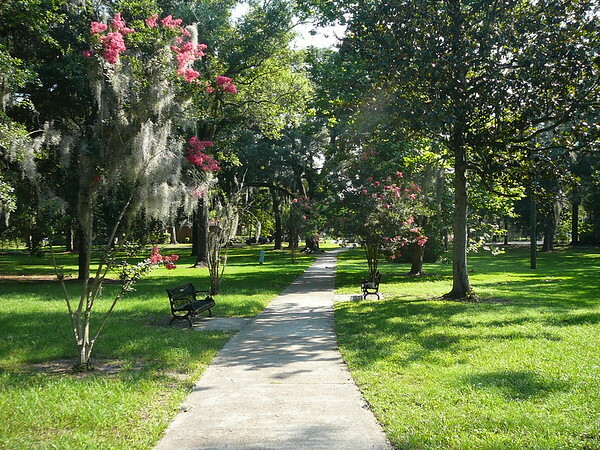 When the newly designed park reopened in July 2005, it became a welcome addition to Old Ortega, which was designated a Historic District and added to the National Register of Historic Places in 2004. 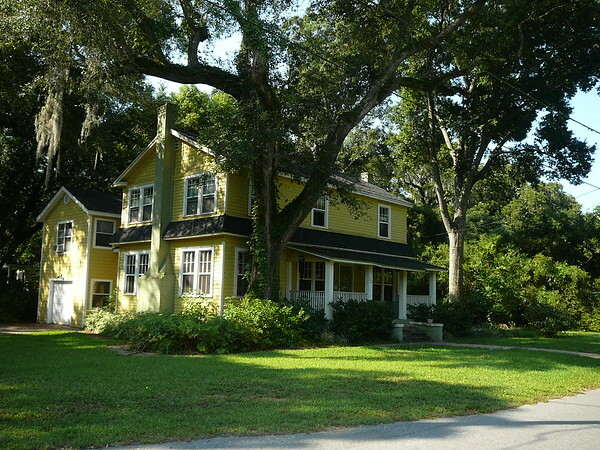 Seminole Park is located in the Ortega neighborhood of southwest Jacksonville, adjacent to the Ortega River (formerly McGirts Creek). 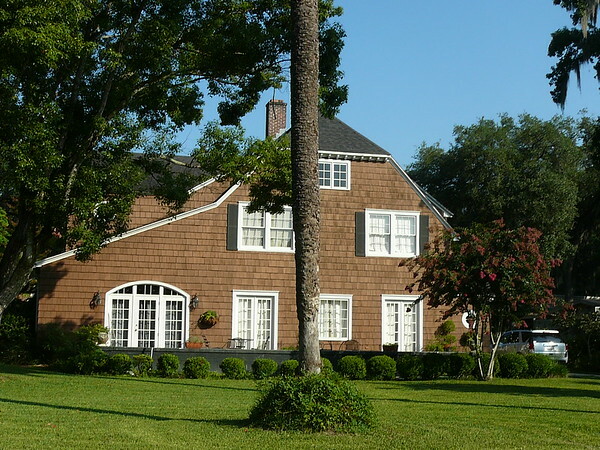 In 1909, the Ortega Company, founded by John N. C. Stockton and Charles C. Bettes, began development of the subdivision, which was designed by the prominent architect Henry J. Klutho. 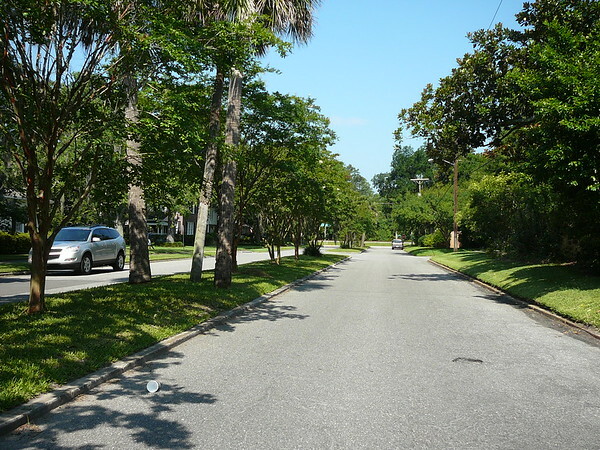 Like many of the streets in Ortega, the park is named for an Indian tribe, the Seminoles of Florida. 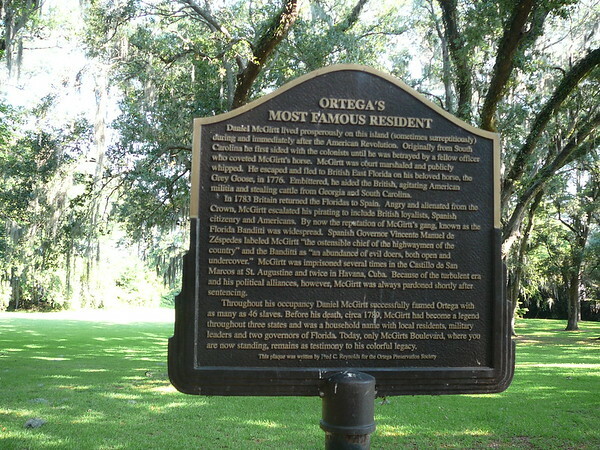 Often home to such activities as flag football games, karate classes, and even weddings, the park also contains a marker that tells the history of the notorious bandit Daniel McGirtt, a resident of Ortega from long ago. 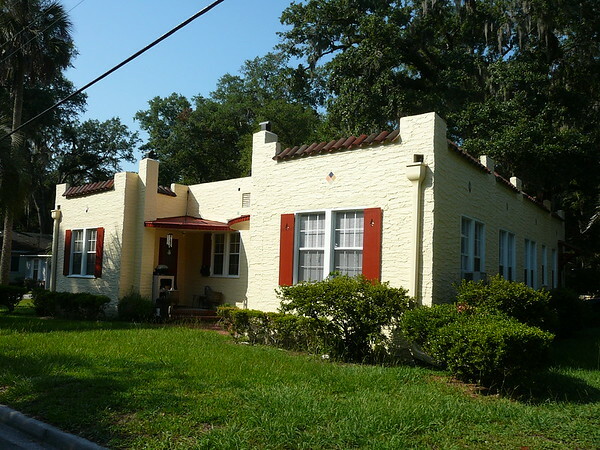 The picturesque grounds of Seminole Park gently slope from McGirts Boulevard to the river, adding to the charm of Old Ortega, which was designated a Historic District and added to the National Register of Historic Places in 2004.
island of Ortega . The island featured prominently in the area's history. 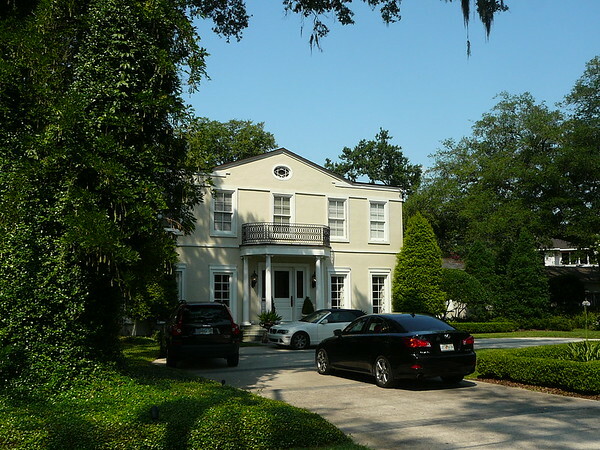 About 50 years before the founding of the city of Jacksonville, it was the lair of the planter/outlaw Daniel McGirtt, who changed sides several times during the Revolutionary War and afterward. McGirt was a plantation owner, a slaveholder and a fiercely independent Scotsman who, at times, was at odds with or had a price put on his head by the British or Spanish governors of the colony of Florida. He was never captured and kept for long, always talking his way out of any situation, and eventually died in his bed early in the 1800s. 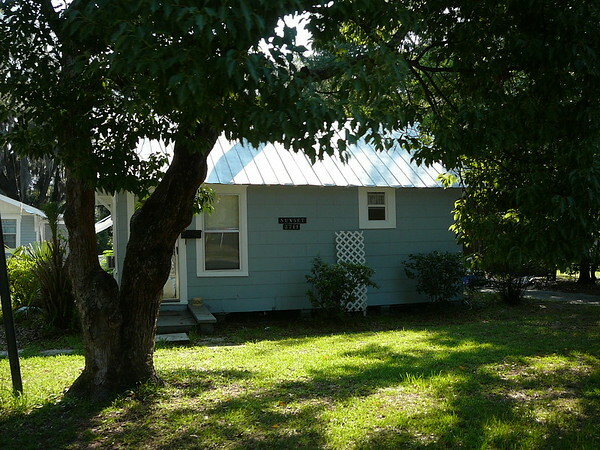 His name is memorialized by a few historical markers, a street -- McGirts Boulevard -- that runs through his former lands, and as it's known by older natives, McGirts Creek (on nautical charts, it's called the Ortega River), which marked the western limits of his island domain. 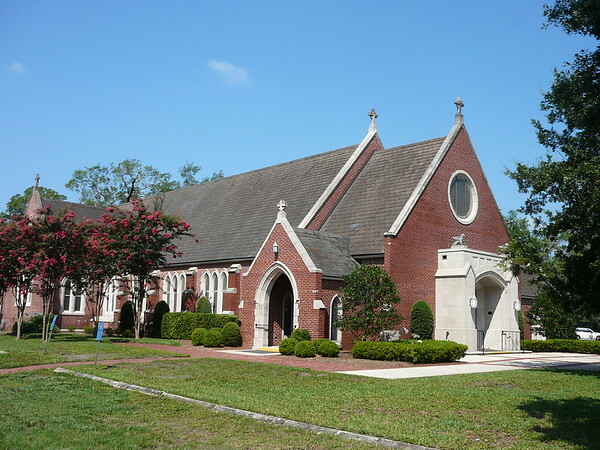 Yerkes Park is located in southwest Jacksonville  part of the Ortega neighborhood that was designed by prominent architect, Henry J. Klutho, and developed in 1909 by the Ortega Company, headed by John N. C. Stockton and Charles C. Bettes. 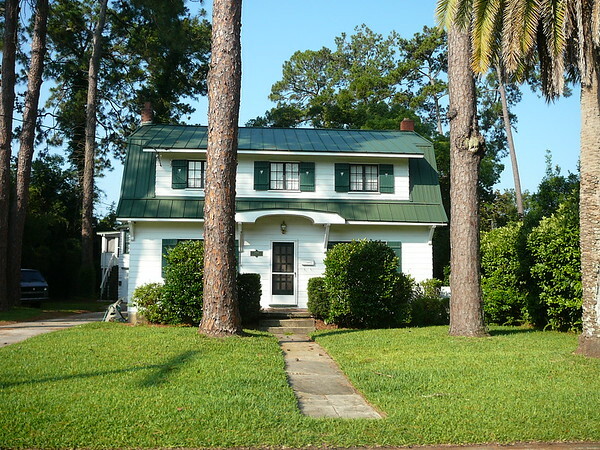 The City annexed the area in 1925, and officially acquired the property from the developer in 1938, with the stipulation that it be utilized as a park. 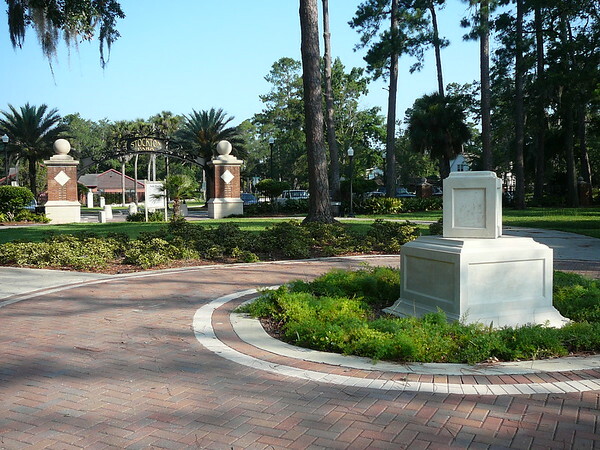 The triangular-shaped park is named for Captain Jonathan Yerkes Jr. (1918-1943), the son of a prominent local family who lived on Grand Avenue in Ortega. He was killed in action during WWII, while serving as an infantry officer in North Africa. 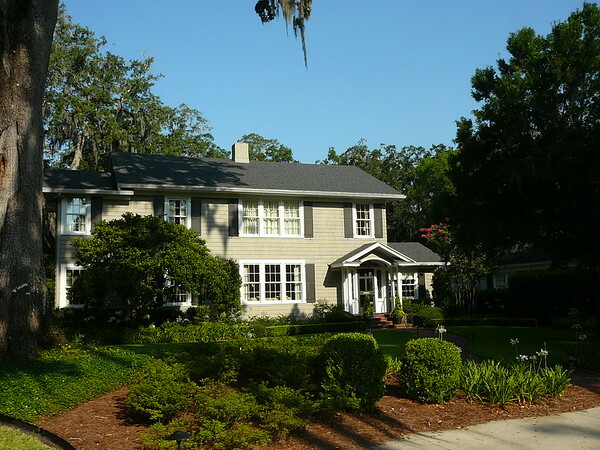 The Yerkes family owned the well-known Florida Hardware Co. that began business in 1886. 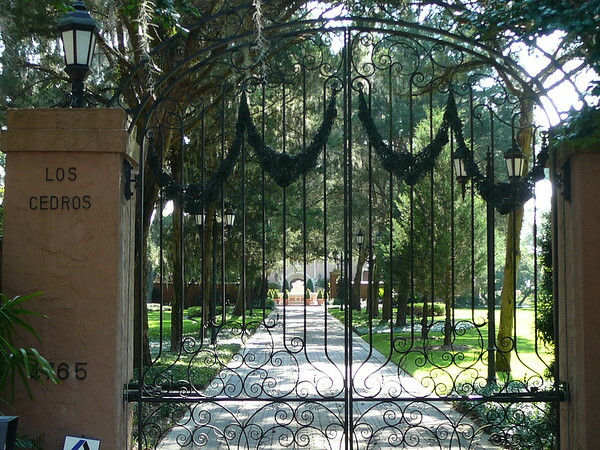 Yerkes Park is an integral part of Old Ortega, which was designated a Historic District and added to the National Register of Historic Places in 2004. 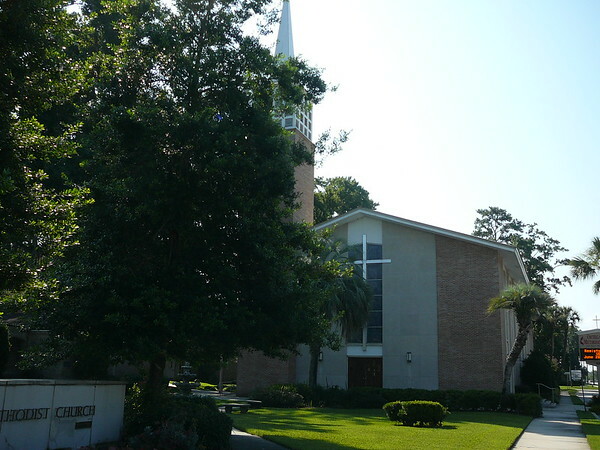 Columbus Park is located in the Ortega neighborhood of southwest Jacksonville, adjacent to busy Roosevelt Boulevard. 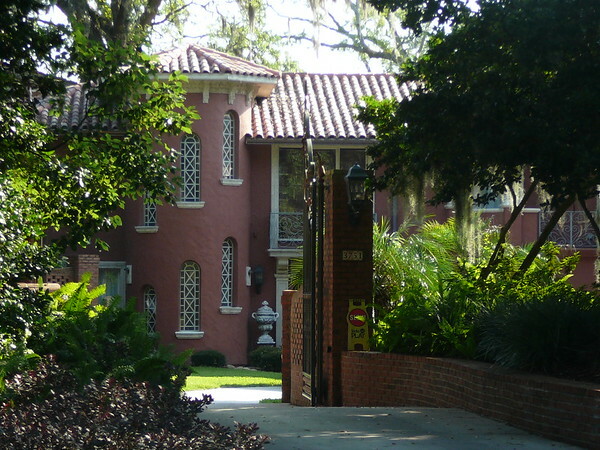 In 1909, the Ortega Company, founded by John N. C. Stockton and Charles C. Bettes, began development of Ortega, which was designed by the prominent architect Henry J. Klutho. It was one of four circular parks created along Park Avenue (now Baltic Street) and named for New World explorers, including Christopher Columbus (1451-1506), the Italian explorer who discovered America on a voyage for Spain in 1492. 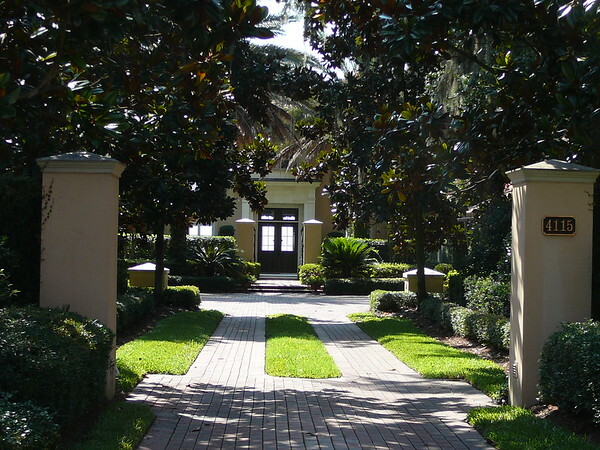 Seen daily by throngs of passing motorists, the grounds contain numerous oak, pine, and palm trees. Columbus Park is situated at the southwestern end of Old Ortega, which was designated a Historic District and added to the National Register of Historic Places in 2004. 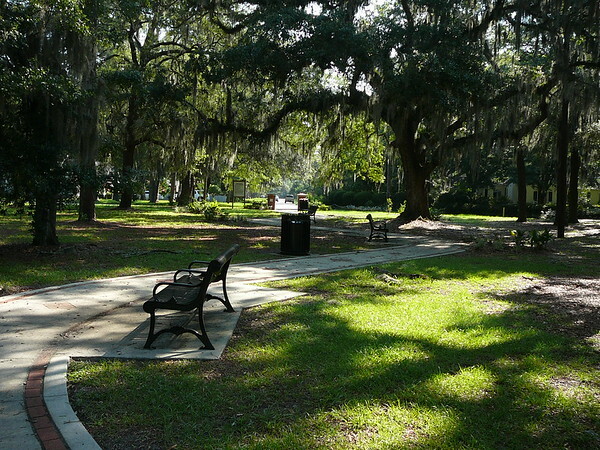 In 2006, the City and Ortega Preservation partnered together for renovations to the park. Renovations included: ADA access with conrecte walkway, brick pavers, curb and gutter around the park, and a beautiful brick entry and brick signage identifying the Park. 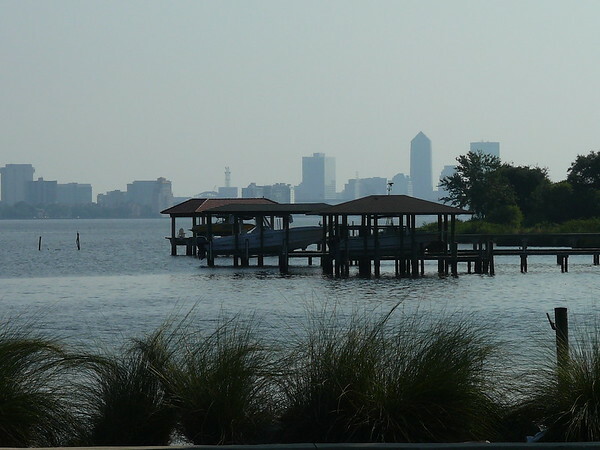 Desoto Park resides in the Ortega neighborhood (platted in 1909) of southwest Jacksonville. It was one of four circular parks created along Park Avenue (now Baltic Street) and named after New World explorers. 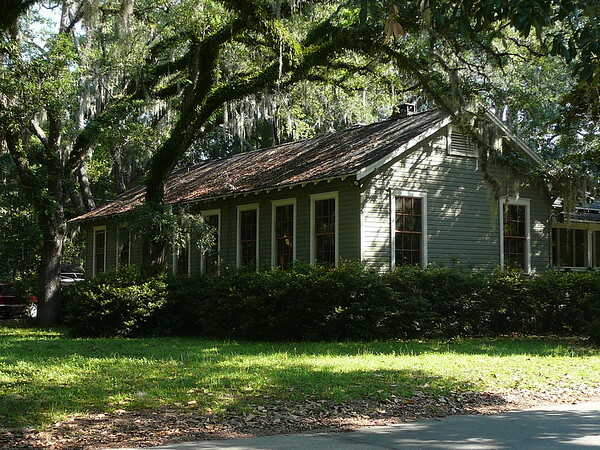 The Ortega Elementary School opened across the street in 1923, and the park served as a school playground and neighborhood park. 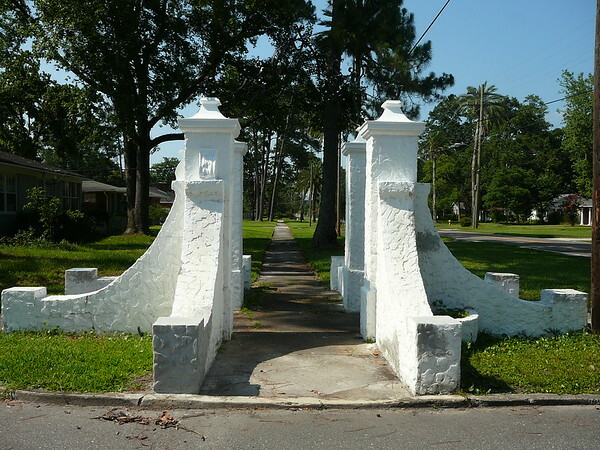 By 1931, ornamental piers flanked the entrance to the park, which provided amenities such as a horseshoe pitching lane, a tetherball court, a sandbox, and lighting for evening recreation. The park is named for Hernando de Soto (1496-1542), the Spaniard who explored southeast America after landing at Tampa Bay in 1539. 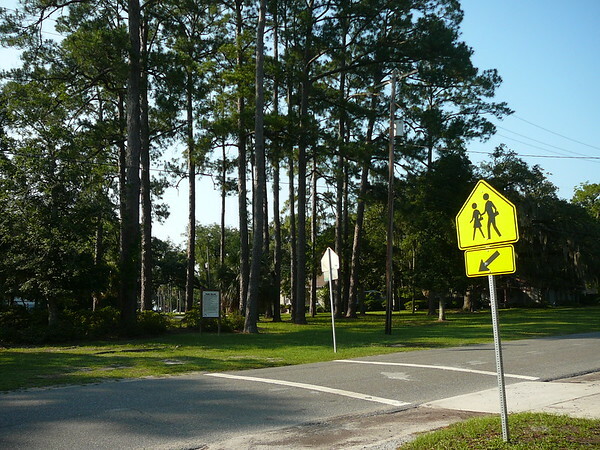 In 1950, the Ortega Co. donated the western portion of the park to the School Board for use by the school, and dedicated the middle portion to the City for the extension of Baltic Street. And as today, the easterly one-third of the property remained a City park. 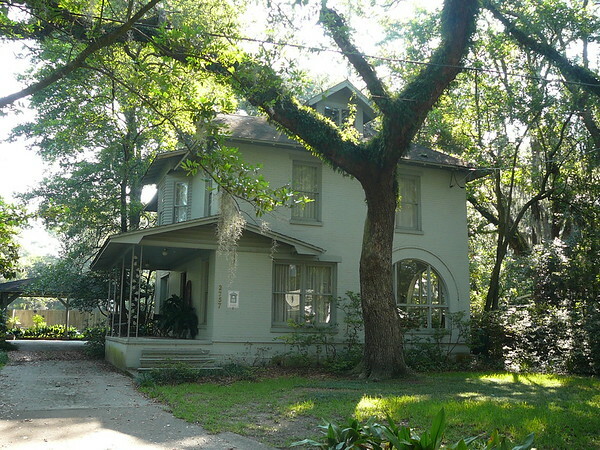 Bettes Park is located in southwest Jacksonville as part of the Ortega neighborhood that was designed in 1909 by prominent architect, Henry J. Klutho. It was one of four circular parks created along Park Avenue (now Baltic Street) and named after New World explorers. 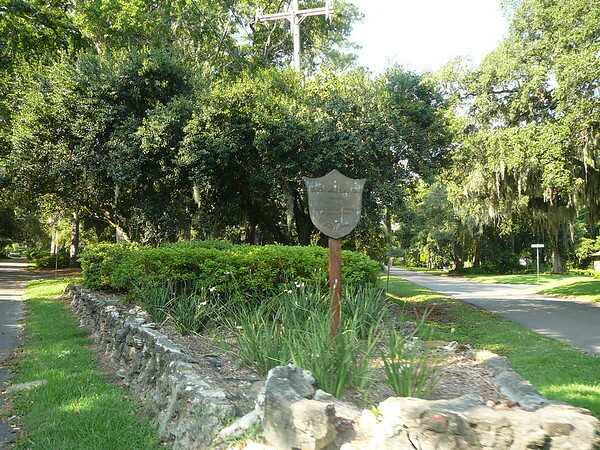 Originally known as Ponce de Leon Park, the name was changed by 1930 to honor Charles Bettes, a local pharmacist and partner with John N.C. Stockton in the Ortega Company, the subdivisions developer. 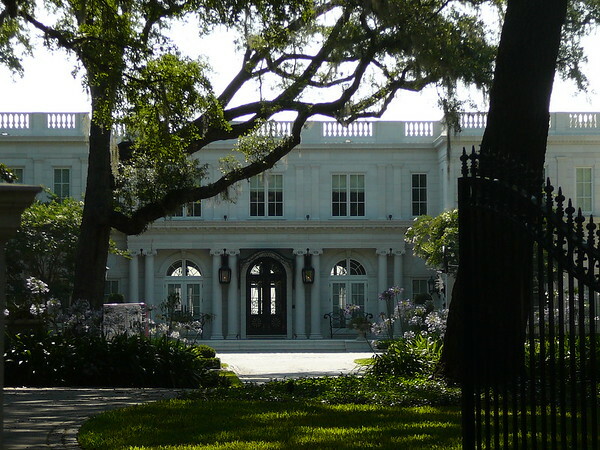 A highly respected citizen, Mr. Bettes built a grand home near the park prior to his death in 1916, at the age of 63. 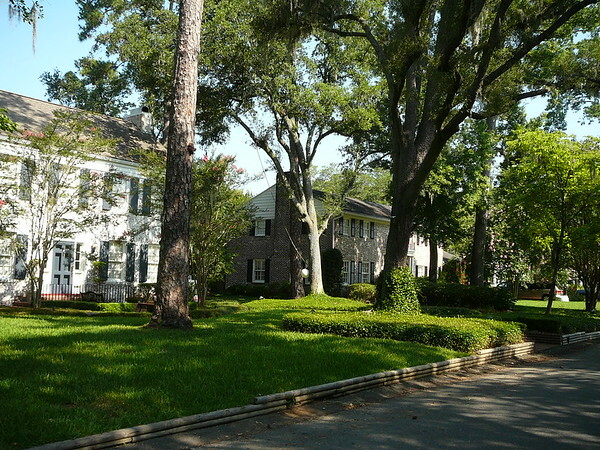 Elegant homes along Bettes Circle, including one built in 1924 by Charles Bettes Jr., surround the park, which provides benches for relaxing in the shade of many picturesque oak trees. 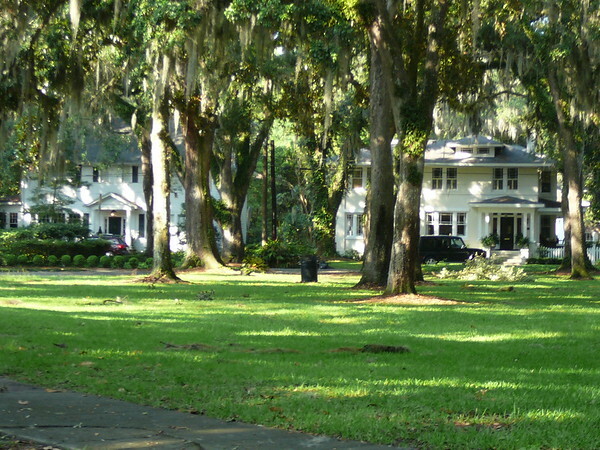 The park comprises part of the unique charm of Old Ortega  designated a Historic District and added to the National Register of Historic Places in 2004. 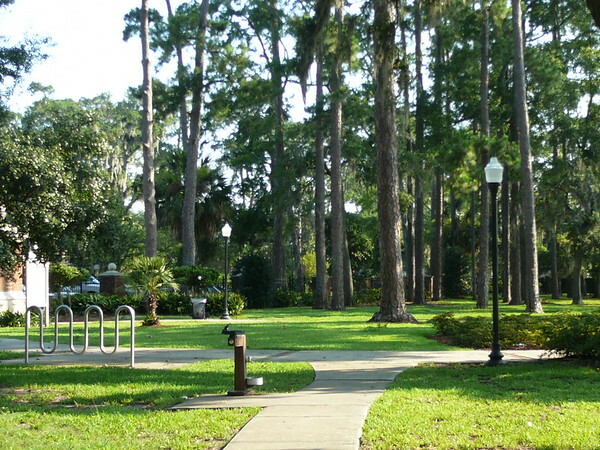 Cortez Park resides in the Ortega neighborhood of southwest Jacksonville. In 1909, the Ortega Company, founded by John N. C. Stockton and Charles C. Bettes, began development of Ortega, designed by the prominent architect Henry J. Klutho. It was one of four circular parks created along Park Avenue (now Baltic Street) and named for New World explorers, including Hernando Cortez (1485-1547), the Spanish conqueror of Mexico. An electric trolley traveled via the Grand Avenue Bridge to Cortez Park, where it turned around for the return trip to downtown. And a charming commercial area known as the The Village (which still exists) evolved near the park. 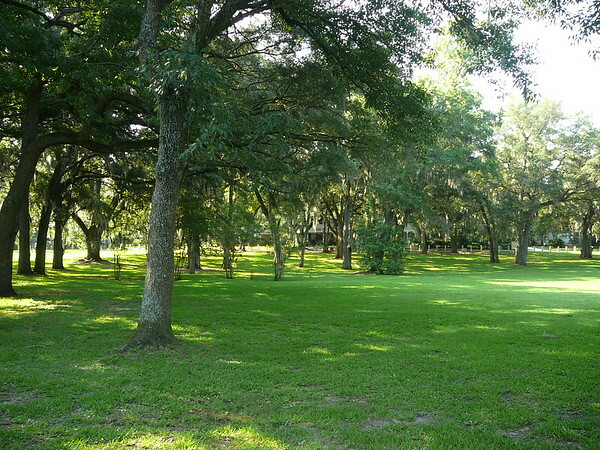 Set amidst numerous oak trees, the quiet park becomes the site of merry-making during the annual Fall Festival at Old Ortega, which was designated a Historic District and added to the National Register of Historic Places in 2004. 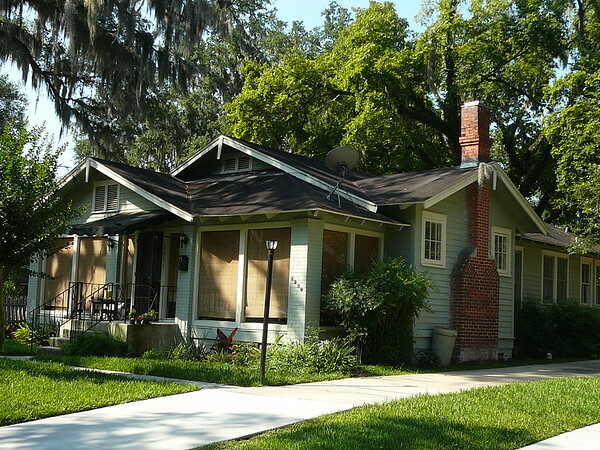 Like Jacksonville's other historic districts, Ortega's original growth was fueled by the streetcar. 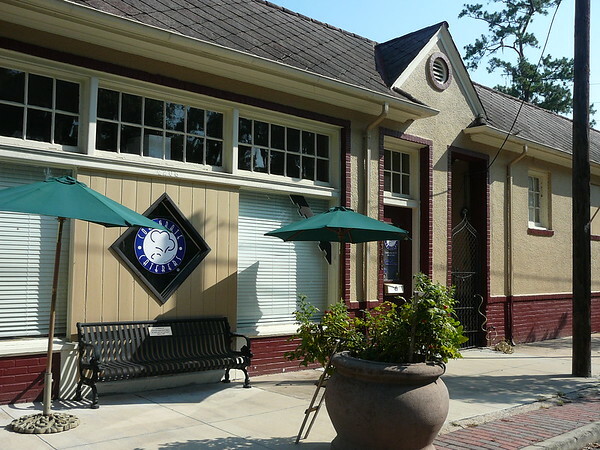 Ortega Village, the district's commercial center, is an example of early 20th century transit oriented development (TOD). 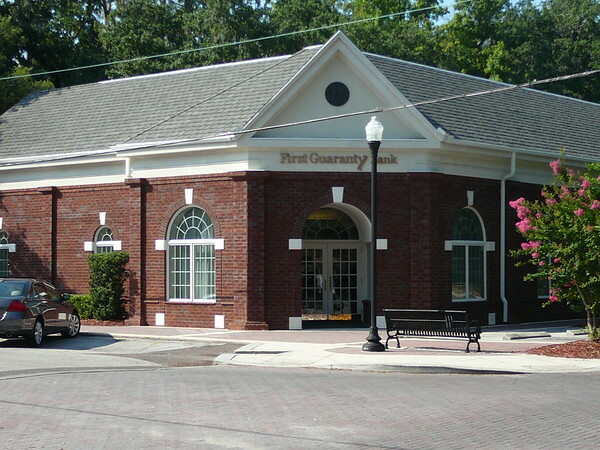 During the neighborhood's early years, electric trolley service terminated here, providing the area with direct and frequent transit service to downtown Jacksonville. 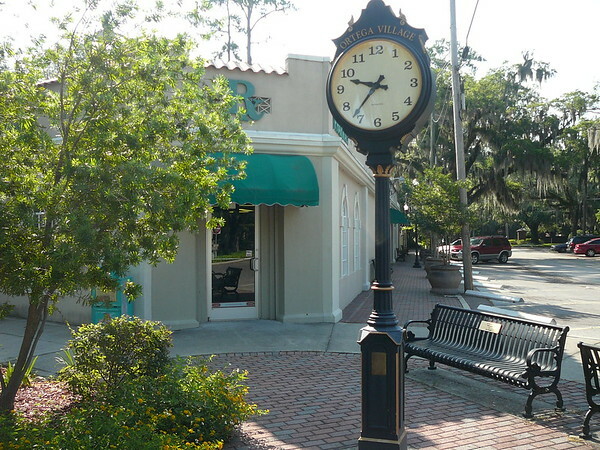 Featuring a lunch counter called "The Fountain," Carter's Pharmacy has anchored Ortega Village since 1955. The pharmacy is owned by Bill Carter, a former city councilman. The Ortega River Bridge opened to traffic in 1927. This bridge replaced the original wooden structure that was completed in 1908. This 1,143 foot long bascule bridge was rehabilitated in 1996. 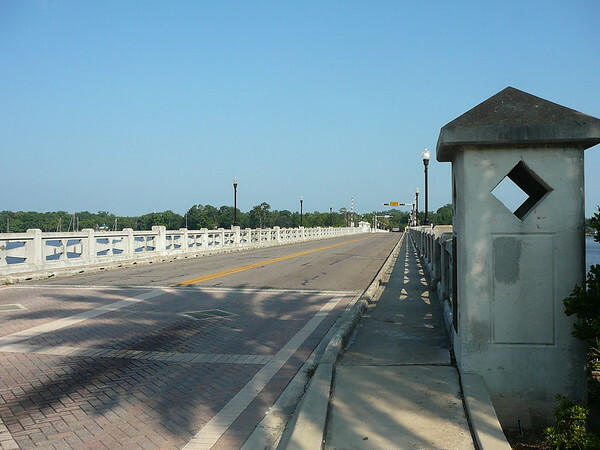 The Ortega River Bridge, also known as the Old Ortega Bridge, or the Grand Avenue Bridge, is a local historical landmark. It has been functional since the 1920s, and recent renovations of the bridge and parks at the north end have made this a relaxing place to enjoy a sunny day by the river. The bridge is at the mouth of the Ortega, where it flows into the St. John's River, overlooking Jacksonville's skyline. A warm weekend afternoon sees this bridge go up and down many times an hour as sailboats and motor yachts make their way through to their docks. 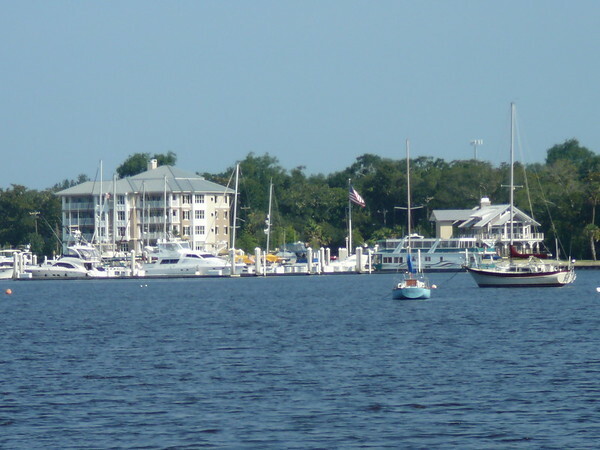 The Ortega River has what is perhaps the largest collection of marinas on the entire St. Johns River south to Sanford, with over seven marinas within a half-mile stretch of the river entrance (all located on the north shore). There is literally no service or repair that cannot be undertaken here. Three of the seven marinas accept transient guests at their slips. 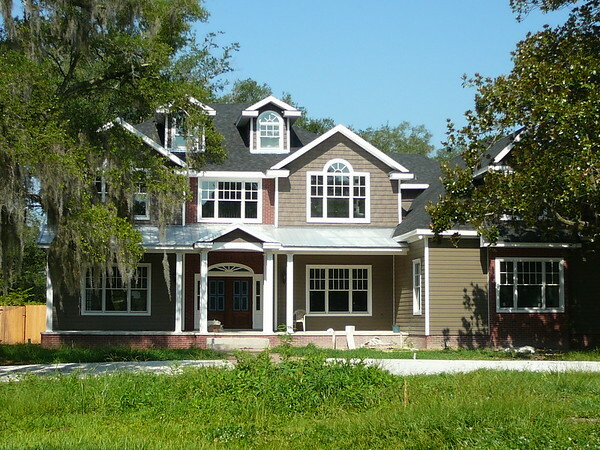 Ortega is home to a diverse collection of residential architectural styles and sizes, giving the community a strong sense of place. 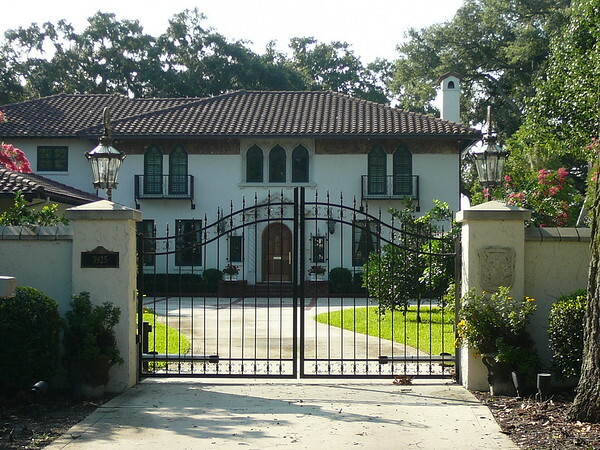 As James W. Spratt approached his retirement from the Florida Abstract and Title Security Company, he decided to build this stately villa in Ortega. 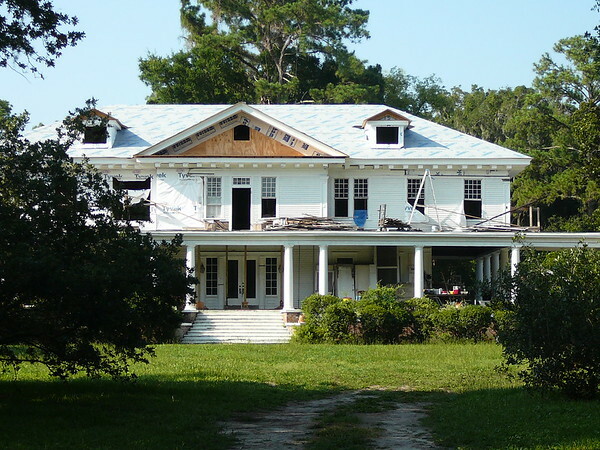 Twenty-four years earlier he had heroically rescued the deed records for Duval County from destruction in the 1901 Fire. 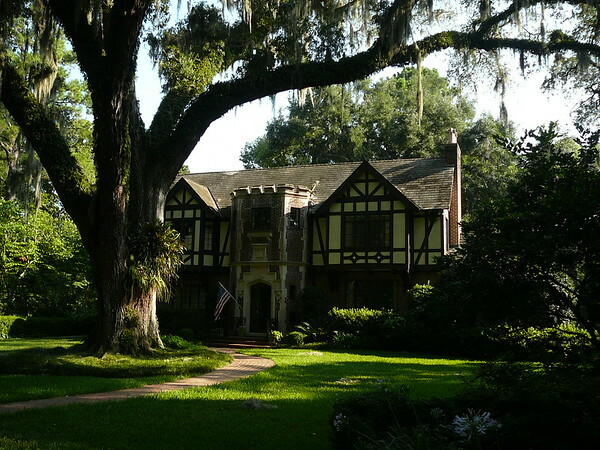 This handsome Tudor Revival style residence is an adaptation of the English "country cottage." 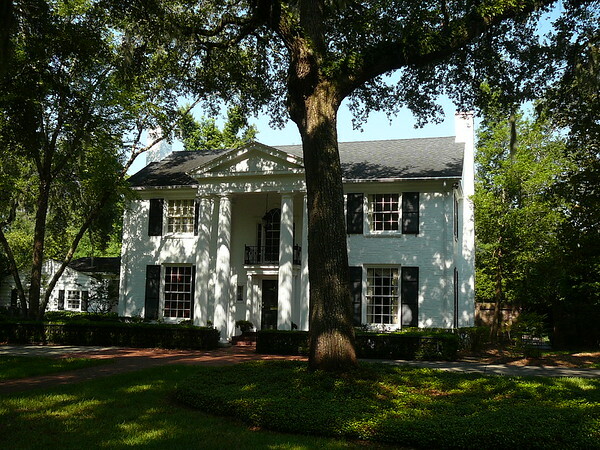 It was built for Thomas M. Palmer, an insurance and real estate executive. 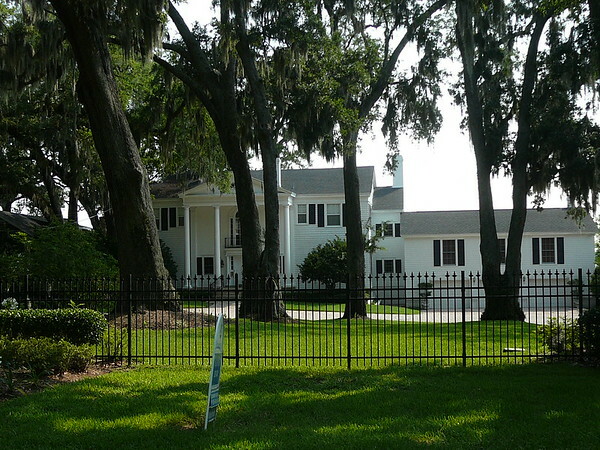 The grand mansion of the Ortega Company development was built for pharmacist C.C. Bettes. As a partner with J.N.C. Stockton in the Ortega Company, Bettes had his choice of building sites. 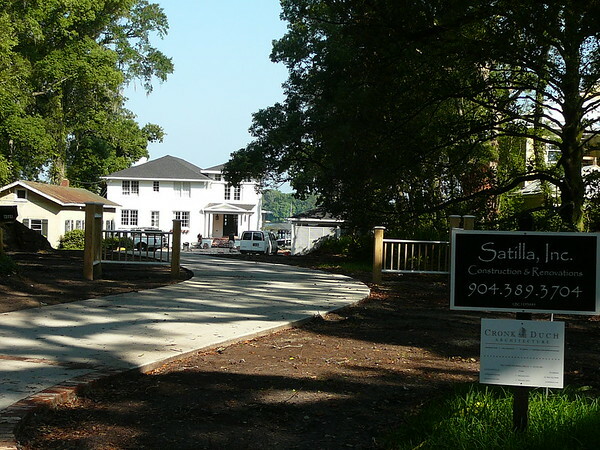 The house is situated adjacent to the site where the old Sadler Plantation house once stood. 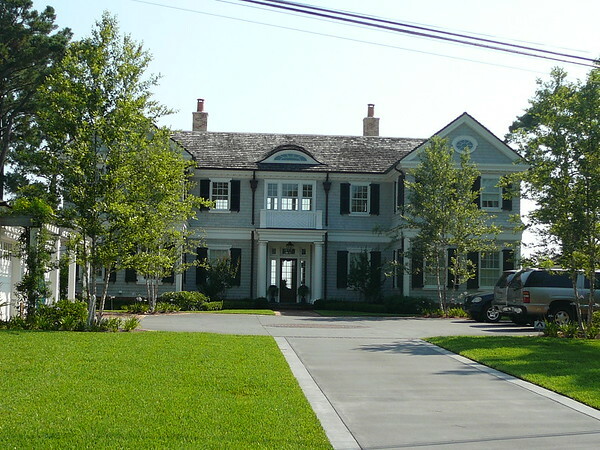 Although many would have chosen a riverfront location for such an extensive home, Bettes selected this inland site to avoid the windiness along the river. 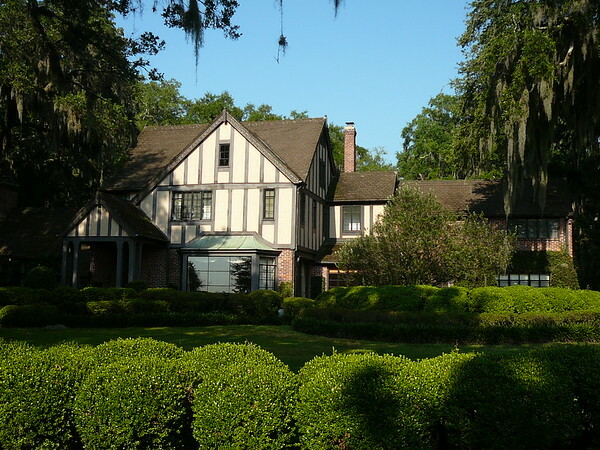 Within a few years after his father died, Charles Bettes, Jr., had this handsome Tudor Revival style house constructed behind his parent's residence and overlooking Bettes Park. 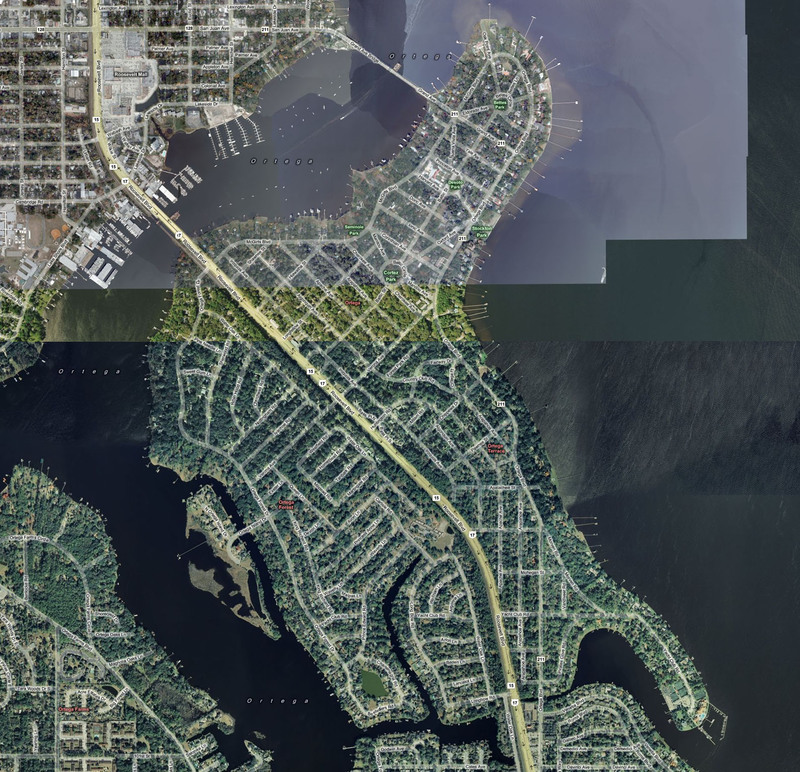 Named after the senior Bettes, this is one of four circlular parks laid out in 1909 along Baltic Avenue, forming an axis for the northern part of the Ortega peninsula. 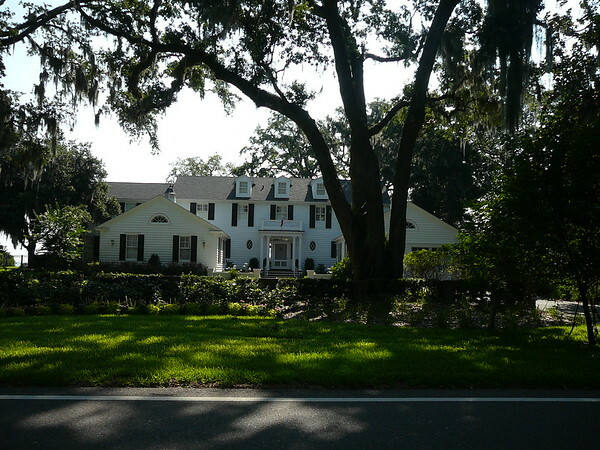 Charles Bettes, Jr., and his wife Carol were camelia fanciers, and two types of camelias developed by them on this property are now grown nationally and bear their names. Mr. Bettes was owner of the Milldale Ice Company and later was vice president of Foremost Dairy Farms. In July of 1933, newspaper headlines across the nation described the kidnapping of Texas oil millionare Charles Urschel, who was released after $200,000 in ransom had been paid. On September 27, 1933, George "Machine Gun" Kelly and his wife Kathryn were captured in Memphis and subsequently convicted for the kidnapping. Before his apprehension, Kelly eluded police by traveling haphazardly around the country. 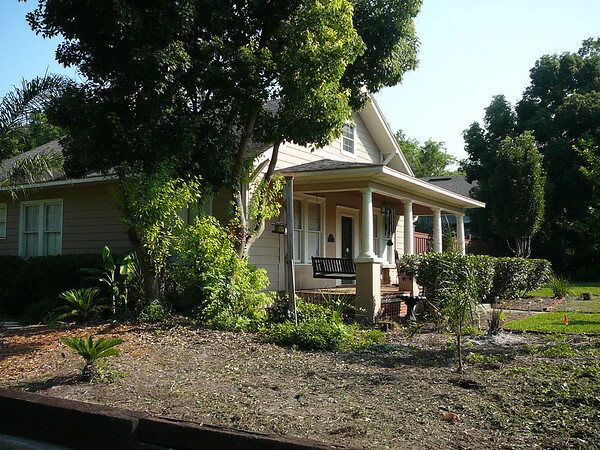 A reclusive couple who fit the description of the Kellys rented this house on Grand Avenue during the early fall of 1933, and they abruptly departed only two hours before police made a middle-of-the-night raid on this house. 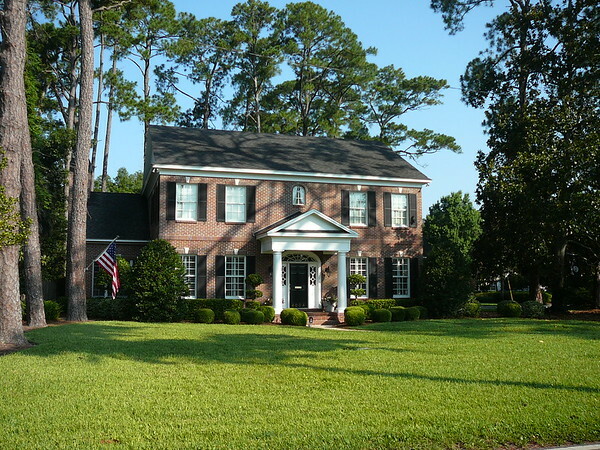 Although never positively identified, the mysterious residents of this house were strongly believed by neighbors and police to have been "Machine Gun" and Kathryn Kelly. This persistent theory has for many years caused this house to be nicknamed "The Gangster House." 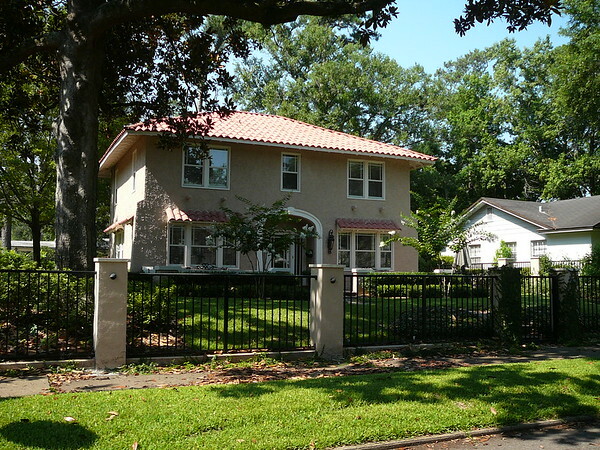 A multiple family structure overlooking Cortez Park. 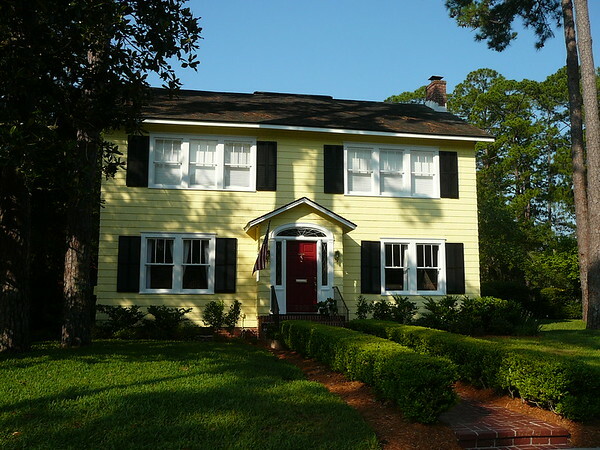 Dating from the time of the Ortega Company's development, this house was built by Arthur Lightbody. 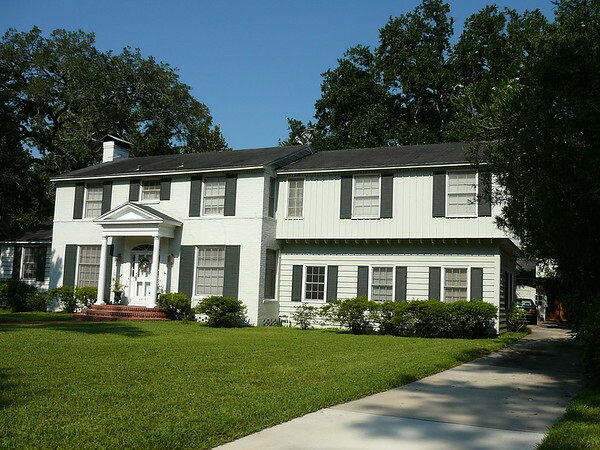 His family moved into it in the summer of 1912. 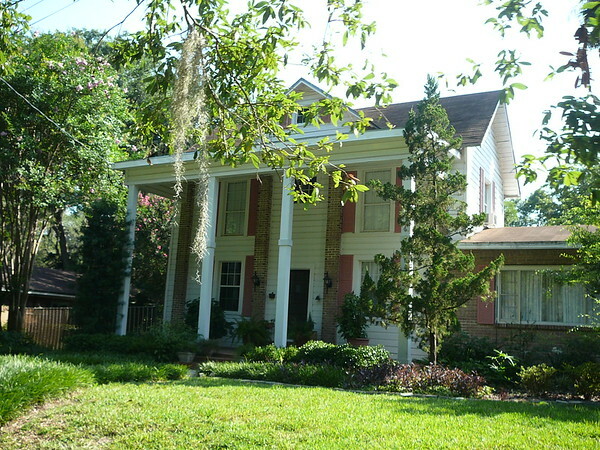 According to his daughter, Iris Lightbody Harris, the house was originally closer to the river and had a two-story porch. 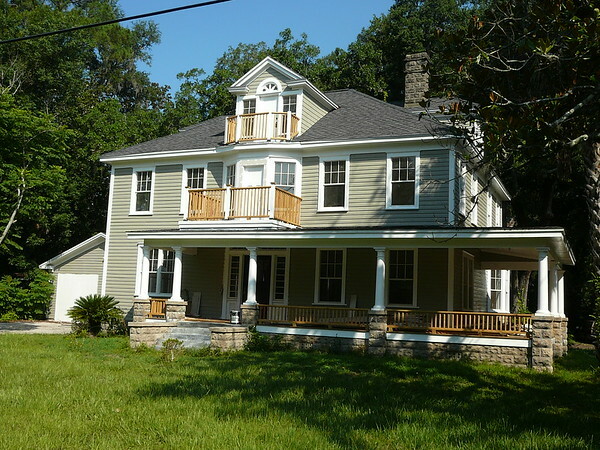 In later years when the house was moved, it was turned sideways and the porch was removed. The present classically detailed entrance was added at that time. After the bridge across the Ortega River was completed in 1908, providing a transportation link with downtown by trolley, Ortega began a new phase of development. Many houses such as this one were built, primarily of wooden frame construction. 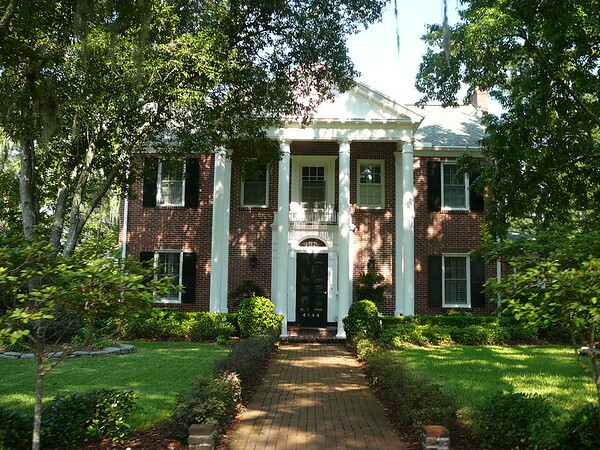 With interesting dormers, a balcony, and a veranda that faces on two sides, this residence shows the influence of both the Colonial Revival and Queen Anne styles. 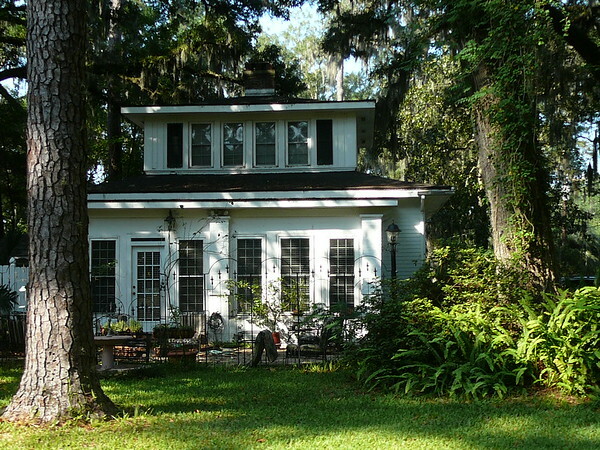 It was, on doubt, a pleasant house in the country at a time when Ortega was a distant rural suburb of Jacksonville. 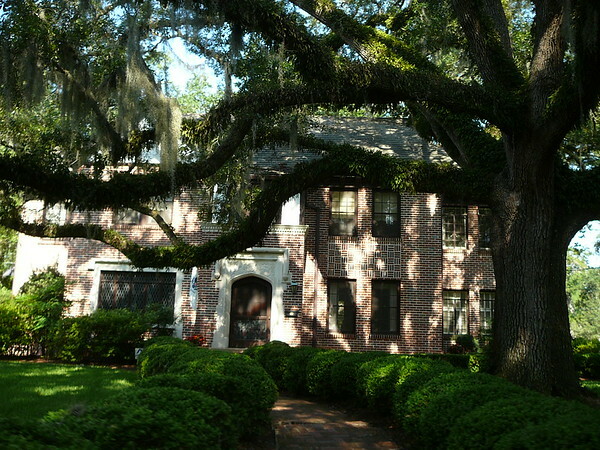 Los Cedros is one of the grand riverfront Mediteranean Revival villas in Jacksonville, surpassed only by Epping Forest. 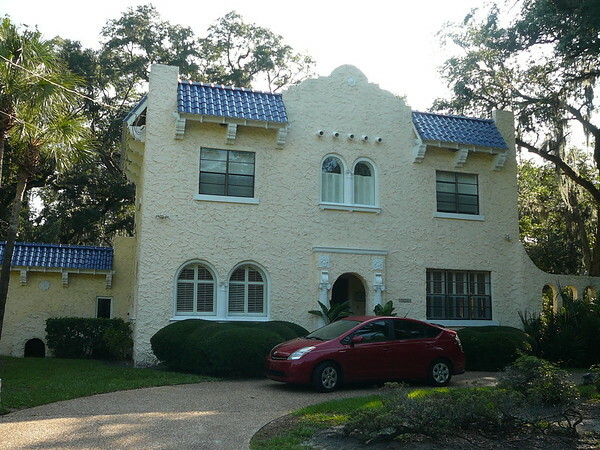 Architect Marion Sims Wyeth spent three months in Spain studying Spanish architecture prior to drawing the plans for this house. 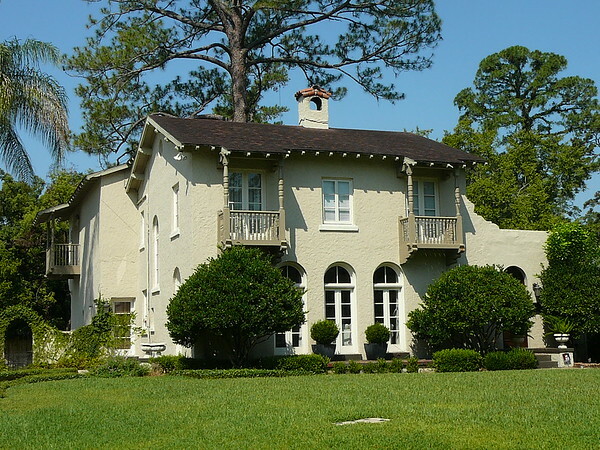 At a cost of $100,000, the residence was built for Colonel Raymond C. Turck, the founder of the Venetia subdivision as well as the Chief Surgeon at St. Luke's Hospital from 1910 to 1916. He was highly decorated in World War I, during which he rose to the rank of Colonel. In 1921, he was appointed State Health Officer. Turck named his home "Los Cedros," after the majestic rows of cedars that line the entrance to the house. 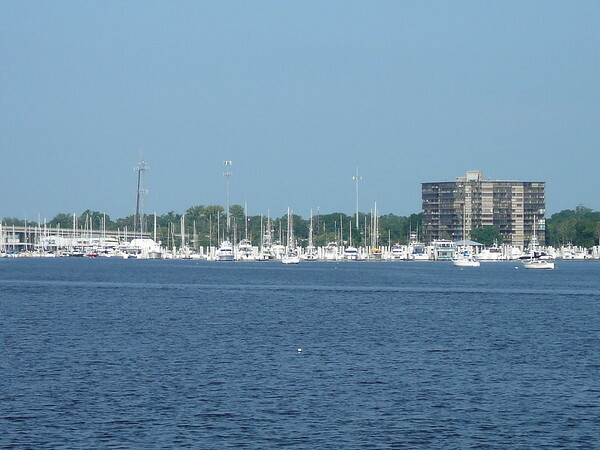 The Florida Yacht Club was organized in 1876 for the purpose of promoting yachting and social enjoyment. 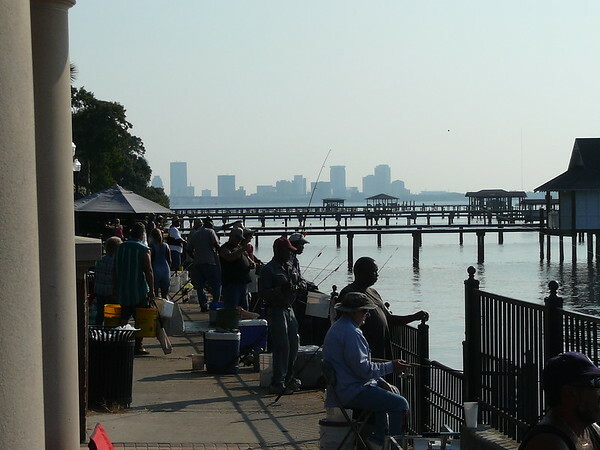 Jacksonville, at the time, was the East coasts southern-most center of winter social activities and recreation which, during the winter months, brought private yachts and railroad cars of wealthy gentlemen to the area. 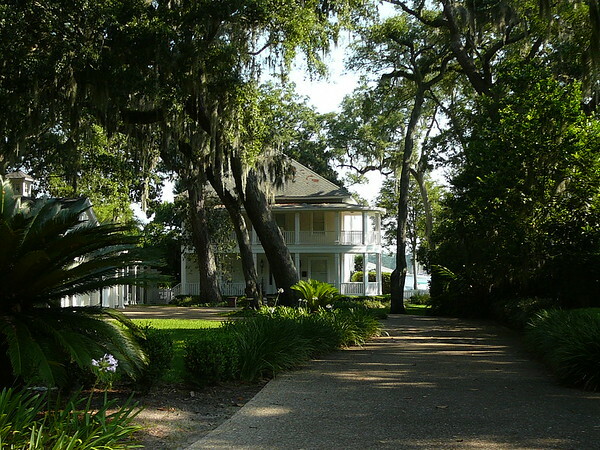 Jacksonville, with its major river, rail connections and large, fine hotels was a natural vacation destination for the affluent businessmen of the Industrial Revolution. The first meeting of the Clubs members was held on April 28th, 1877 and William B. Astor, Jr. was elected Commodore while a lifetime membership fee of thirty five dollars was established. 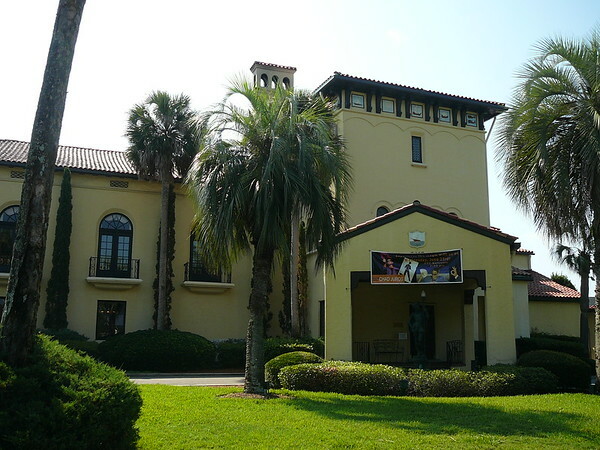 The first clubhouse was located at the foot of Market Street in downtown Jacksonville and was elegantly designed as a Swiss Chalet. The Club was considered one of the finest buildings of its day, with a ballroom, ladies card room on the land side and mens meeting rooms on the river side. Open porches circled the second floor and a captains walk was on the roof. Members boats were stored below and at the Clubs docks to the East and West. The Club became known at once for its Christmas Ball, cotillions, social affairs, and for Ladies day. Gentlemens day was every day. The original Club burned in the great fire of 1901. 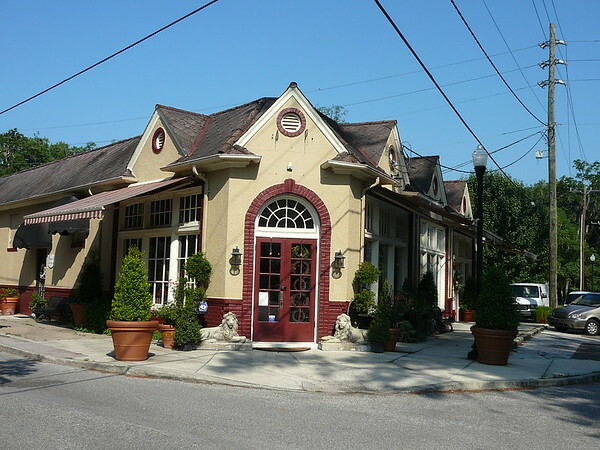 After this catastrophe, the Club took up temporary quarters in the 500 block of Riverside Avenue while the search for a new permanent site began. A gift of attractive property on the south side of the mouth of Willow Branch Creek ended the search. On November 28th, 1907, Thanksgiving Day, a formal re-opening of the Club was celebrated by a cotillion. Over the next 20 years, the Clubs membership continued to grow and the need for considerable expansion became necessary. With a gift of beautiful waterfront property in the Ortega, a new larger clubhouse was opened and celebrated with a regatta and dance on April 21, 1928. Since that time, the growing membership has been accommodated by the addition of elegant dining rooms, extensive full-service kitchen facilities, more than 1,000 feet of docks and slips, clay tennis courts, and a newly remodeled health club and swimming pool. 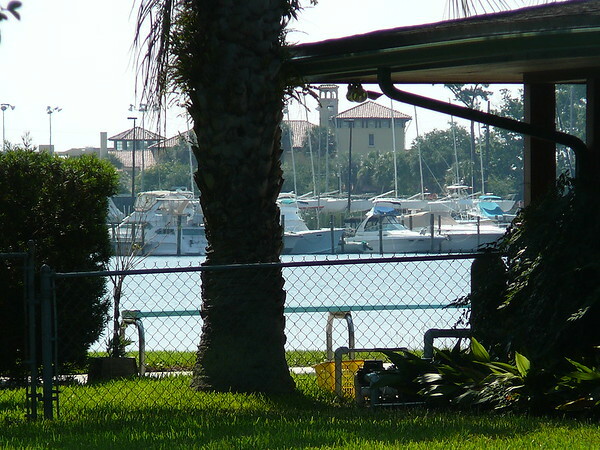 Today, The Florida Yacht Club plays host to weddings, numerous annual regattas and social events and is recognized as one of Northeast Floridas most prestigious private Clubs. 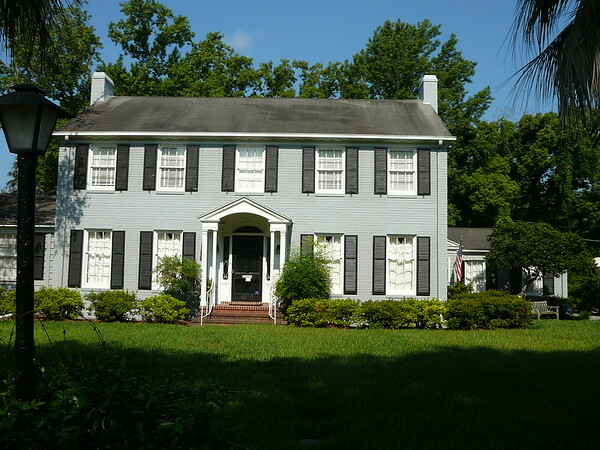 The Old Ortega Historic District is a U.S. historic district (designated as such on July 14, 2004) located in Jacksonville, Florida. The district is bounded by Roosevelt Boulevard, Verona Avenue, and the St. Johns and Ortega Rivers. Ortega Boulevard (SR 211) is the primary route throughout the district, which contains 597 historic buildings.